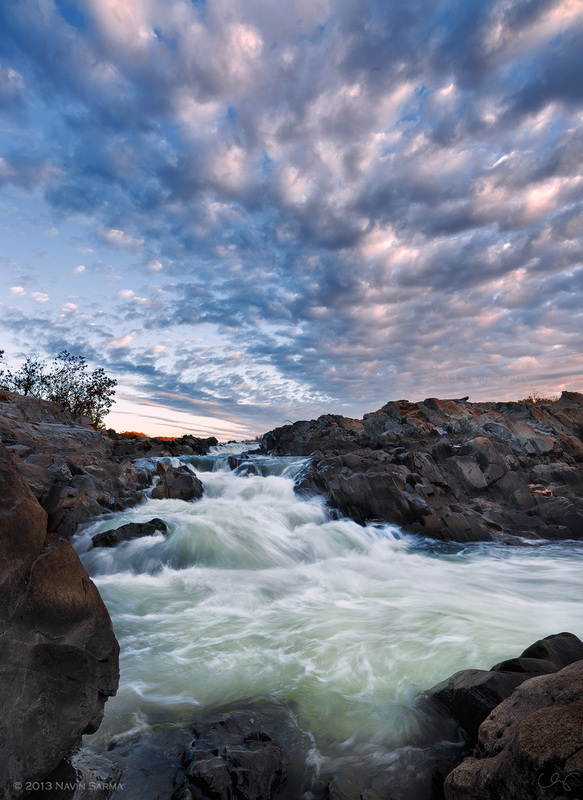 This past Saturday morning, I led a workshop at Great Falls National Park. We are just hitting peak fall foliage in the Washington, D.C. Area, and wanted to capture this beautiful time on camera. 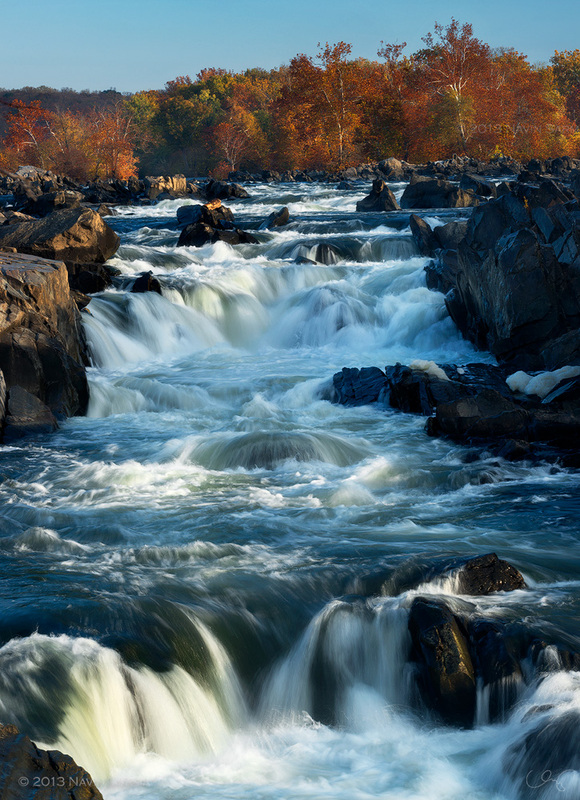 A dramatic, autumn sunrise at Great Falls National Park, Virginia. 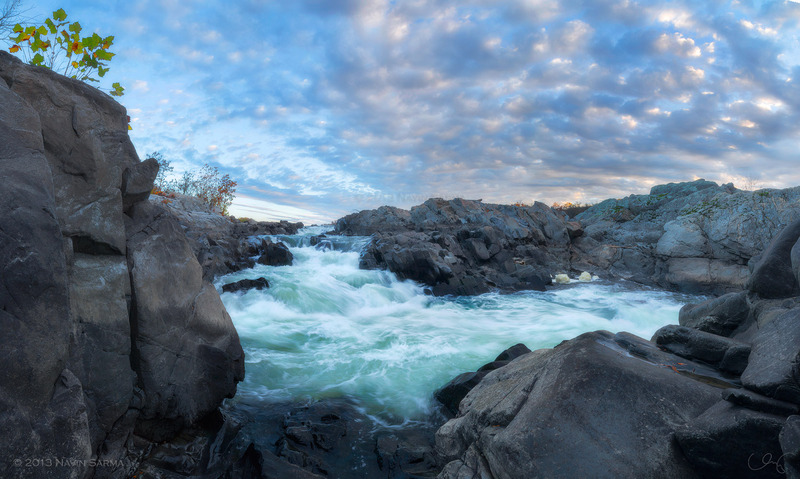 panorama showcases the huge rocks beneath a dramatic, autumn sunrise at Great Falls National Park, Virginia. A bank of autumn colored trees sits at the top of the dramatic waterfalls of Great Falls National Park, VA.